BOOK REVIEW: Benedetta Brevini, Arne Hintz, Patrick McCurdy (eds.) 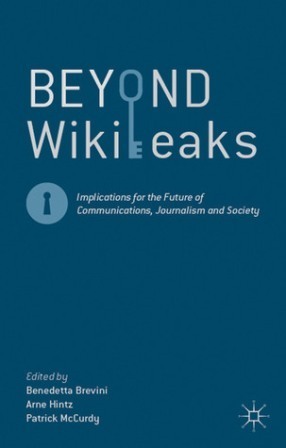 (2013), Beyond WikiLeaks. Implications for the Future of Communications, Journalism and Society. Basingstoke: Palgrave MacMillan, pp. 308, ISBN: 978-113-7275-73-8.